Vermicompost is an organic manure (bio-fertilizer) produced as the vermicast by earth worm feeding on biological waste material; plant residues. 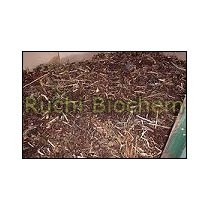 This compost is an odorless, clean, organic material containing adequate quantities of N, P, K and several micronutrients essential for plant growth. 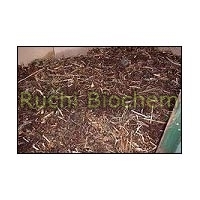 Vermicompost is a preferred nutrient source for organic farming. 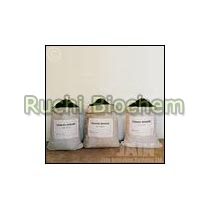 It is eco-friendly, non-toxic, consumes low energy input for composting and is a recycled biological product. 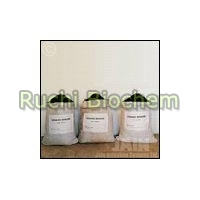 The process allows for the safe conversion of waste into a valuable nutrient rich humus fertilizer i.e. Vermicompost. Mid-scale worm bin (1Â m X 2.5Â m up to 1Â m deep), freshly refilled with bedding. Vermicompost can be mixed directly into the soil, or seeped in water and made into a worm tea by mixing some vermicompost in water, bubbling in oxygen with a small air pump, and steeping for a number of hours or days.